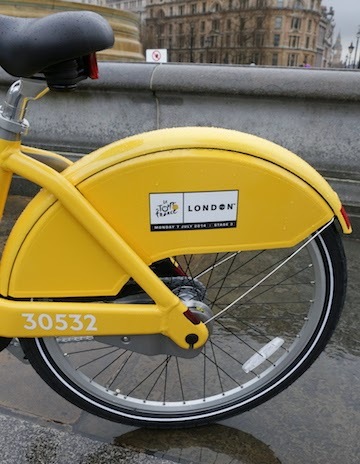 101 Boris Bikes now carry the bright yellow color of the Leader Jersey of the Tour de France. This year marks the 101st run of the Tour de France and three stages of the Race will roll through the United Kingdom this summer. On July 7, 2013, the third Stage will end in London! We can't wait to see one of these yellow Boris Bikes be the first to cross the finish line! The Hubway re-opens area-wide on April 2, 2014, which will take a lot of weight off those Bostonians who have been waiting through a cold winter for these rides! According to Barcelona's La Vanguardia, Europe's mobile telecommunication giant, Vodaphone will be the "naming" sponsor of Barcelona's successful bike-sharing program, bicing. The report states that at the beginning of April, the bikes, the stations, the uniforms, the website and naturally the mobile apps will all say "vodafone - bicing." The money from the 3 year contract for the branding of bicing with Vodafone will help the program keep the service levels high while reducing public subsidies to the program. The offer of the Vélib' 1 days pass at no charge will remain in effect through Monday March 17, 2013. All other city transit is also being offered at no charge to help reduce the pollution by giving alternatives to private motor vehicles. As of the evening of Monday March 17, 2014 over 550,000 Velib' rides were taken to reduce pollution since the offer was made on Maech 13, 2014. On Thursday March 13, 2014 there was a winter day record of over 135,000 Vélib' trips to help reduce the pollution over Paris. According to a Vélib' source, 7848 free tickets were dispensed on Friday, March 14th, by 6 PM Paris time, that is close to 2,000 more than the day before! 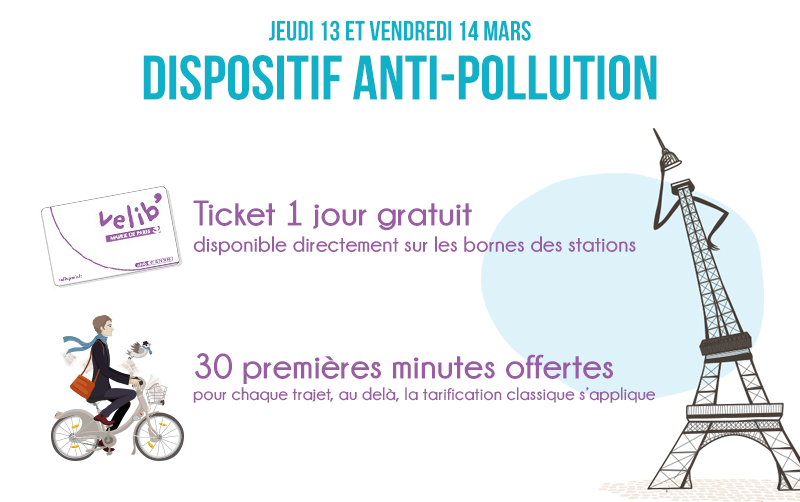 If you are in Paris March 13th or 14th help reduce the unusual heavy pollution blanketing the City, take Vélib' and take advantage of the free one day pass which allows 30 minutes of use at no charge each time you take out the bike. 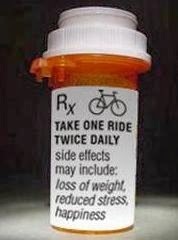 Please ride slowly and carefully! If you missed the opportunity to attend the North American Bike-share Industry Forum earlier this week in snow covered Arlington, Virgina, USA, you now have the opportunity to attend a summit on all shared-use vehicle mobility in Washington, D.C. during a warmer June. On June 10 - 11, 2014, The Innovation in Mobility Public Policy Summit will be the continuation of discussions which began at the overwhelmingly successful Shared-Use Mobility Summit in San Francisco in October 2013. Whether you attended the October Summit or the Forum this week, the June Summit will give you the opportunity to help formulate shared use vehicle policies and learn about new technologies in the shared-use mobility field. Save the date or register now. 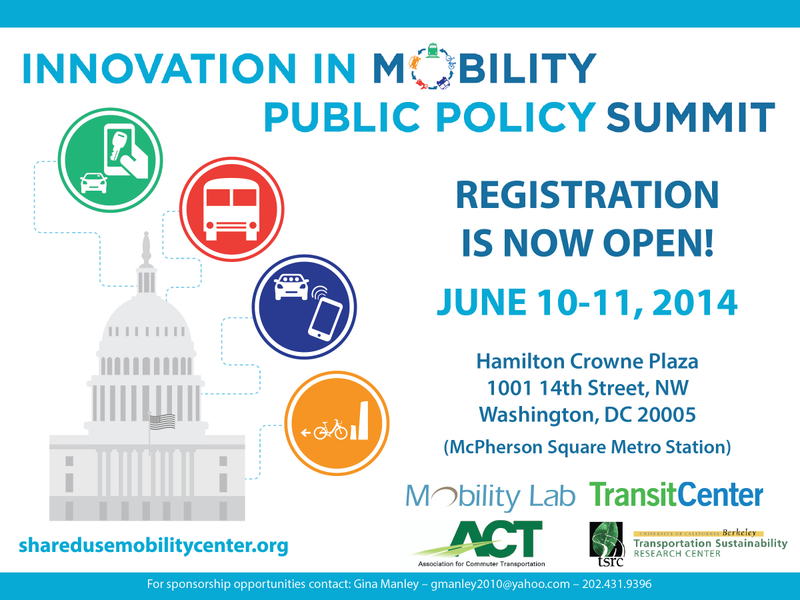 The Summit is hosted by Mobility Lab, Transit Center, Association for Commuter Transit, and The Transportation Sustainability Research Center.